On Monday the House of Lords approved the secondary legislation for the Green Deal and the Energy Company Obligation (ECO), said the Department of Energy and Climate Change (DECC) in a statement. 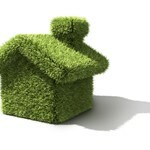 By approving the framework underpinning the Green Deal another milestone has been passed leaving the Government’s revolutionary home insulation retrofit scheme on track for its October launch. In a statement DECC said: “In our consultation response, we confirmed Government’s intention to introduce the Green Deal through supporting a responsible and controlled approach with full national systems testing, this is to ensure the market has the opportunity to build steadily. The statement went on to reveal that authorised and accredited assessors will be able to start operating from October, so that by the end of January 2013 – when the relevant parts of the framework regulations are set to come in to effect – consumers wanting to take up the scheme will be in a position to complete a Green Deal Plan. Prior to the end of January Green Deal approved installers will be able to carry out work for customers if paid for upfront by the customer, or completely supported under the ECO. By this stage, as more and more providers enter the market, DECC says it expects the number of Green Deal offers available to increase from that point onwards. October will see the launch of the ECO which will replace the Carbon Emissions Reduction Target and the Community Energy Saving Programme. Both obligations are due to end in December. 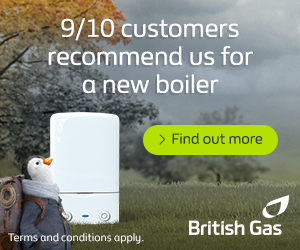 The ECO will tackle energy efficiency and heating measures in the domestic market. Through the Green Deal, the Government wants to encourage homeowners to make their homes more energy efficient by taking out loans which will enable them to upgrade their cavity wall insulation and loft insulation, amongst a range of home improvement measures.